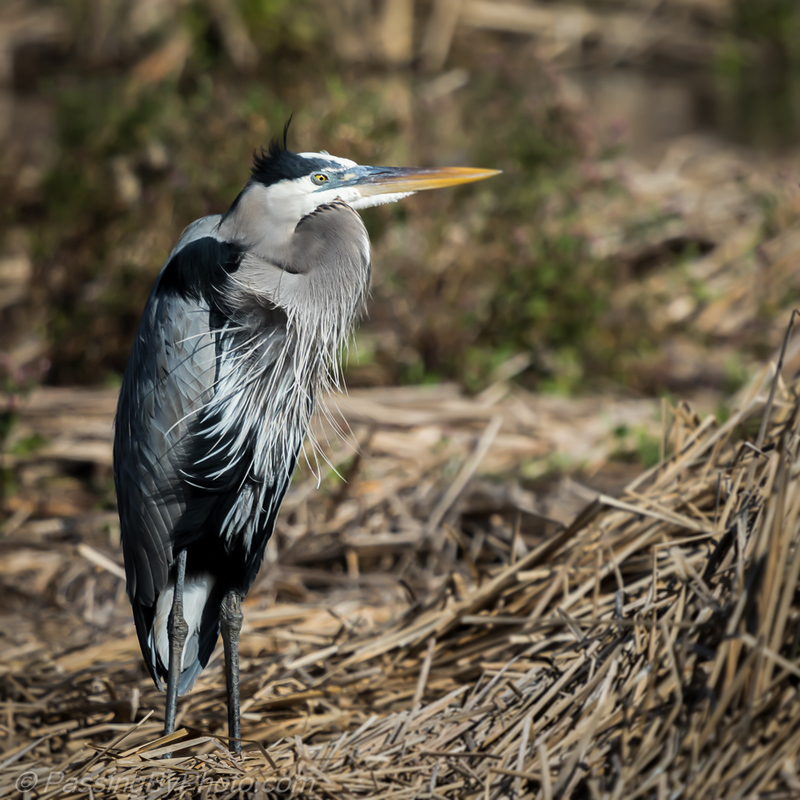 Not classic Heron poses, and leaning toward the comical, this Great Blue kept me entertained for quite awhile on a recent afternoon. 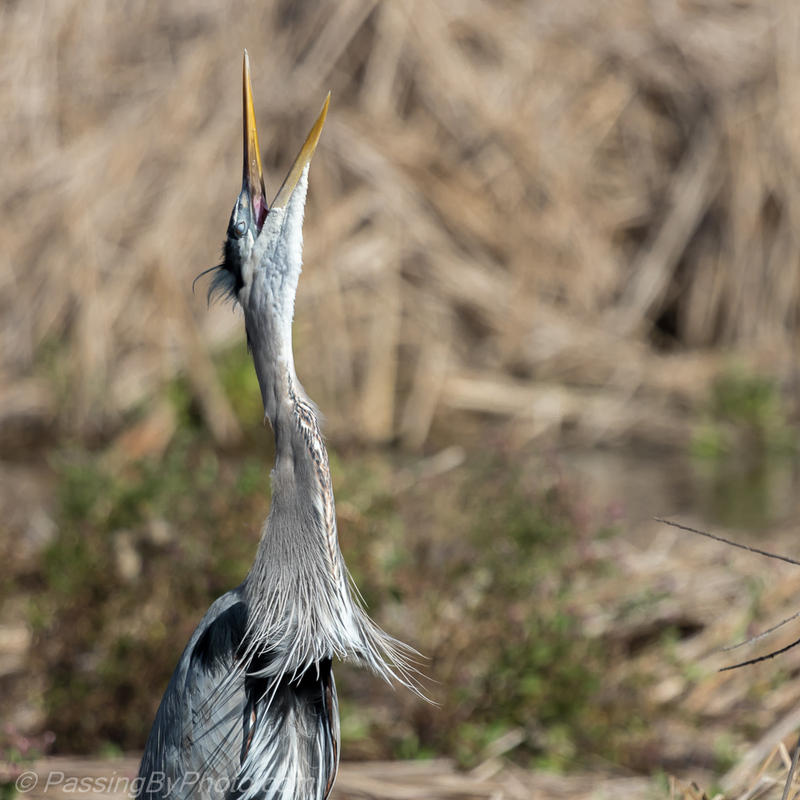 These shots reminded me of some people I know that are reluctant to have their picture taken. First we take care of the itch. Then a few vocal protests. What’s a photo shoot without a photo bomb? Finally, settled for the pose, neck tucked back down looking like a scarf in the breeze, a very elegant result. 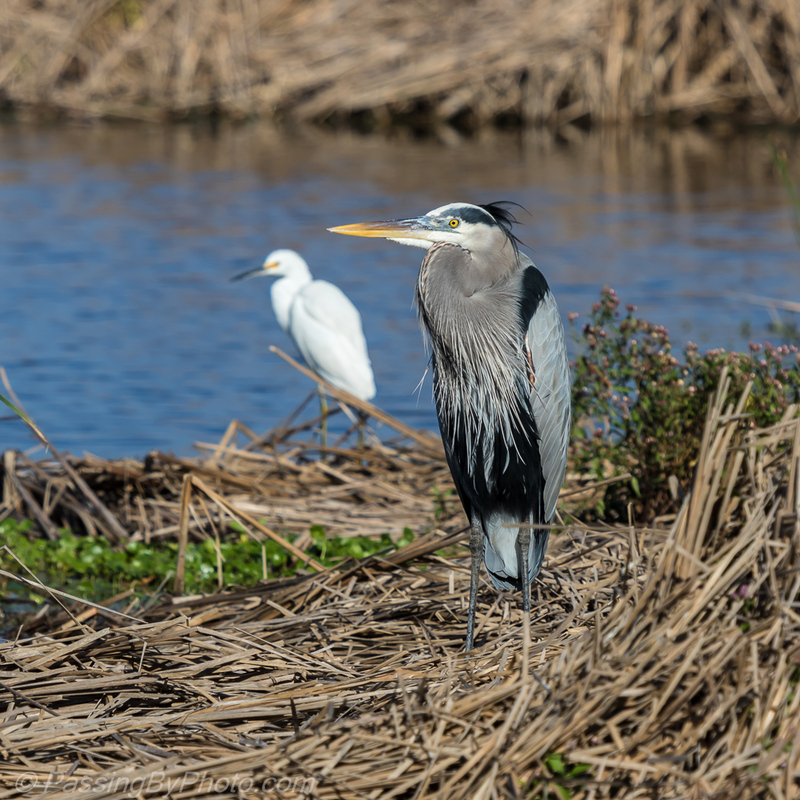 Interesting that the black patches are much more pronounced in the Great Blue Herons around Magnolia Plantation the last few weeks. Beautiful photos. Enjoyed the commentary too. Thanks, Belinda. 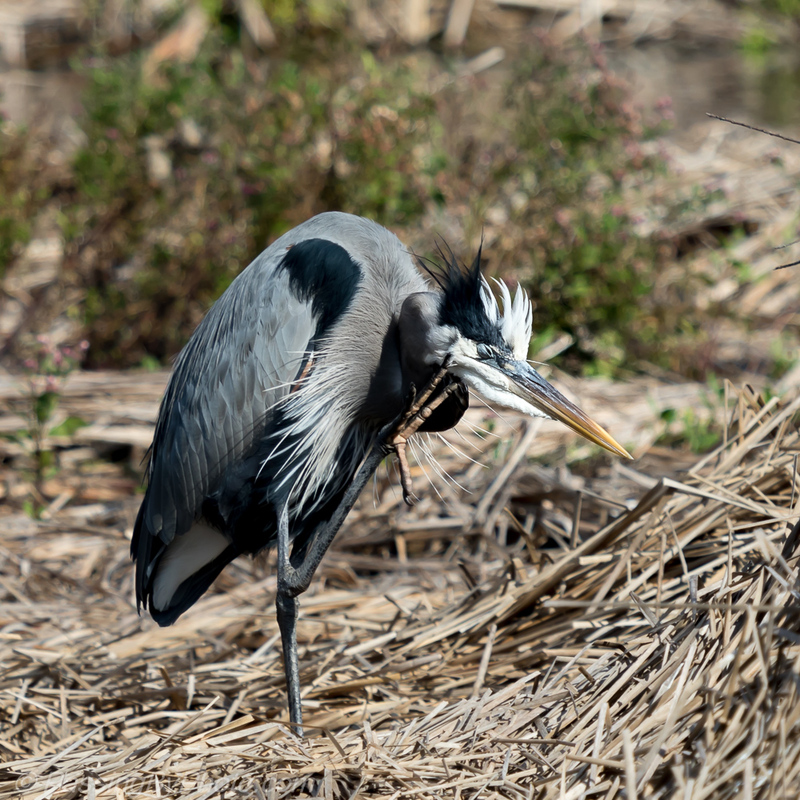 It was fun to get these shots and see different behavior from the Heron.